Fall is in the air and you if are anything like me, fall time is pumpkin spice everything time. Once I feel the crisp chilly air, see the leaves starting to change, I am totally in fall mode. 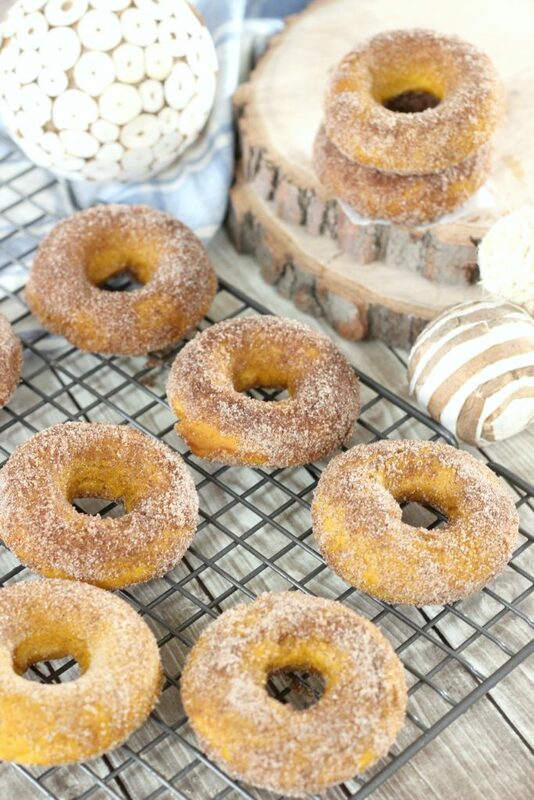 For me, there is nothing quite like enjoying warmly baked pumpkin spice donuts with a flavourful cup of apple cider, am I right? The best part is that they are incredibly easy to make. 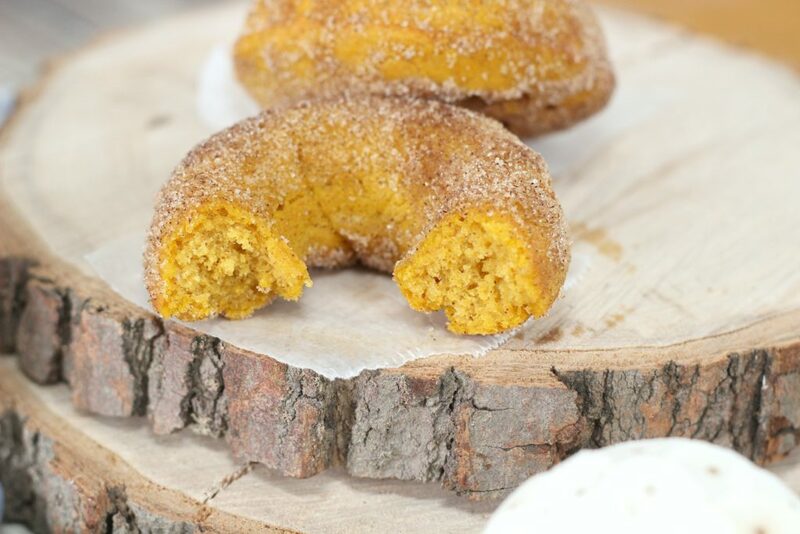 If you’re a pumpkin spice lover, you’re going to absolutely LOVE these donuts. When it comes to donuts, we are connoisseurs. While we can go gaga over a maple bacon donut, there’s something truly special about the simplicity about this pumpkin spice donut. It’s sweet and flavourful. You don’t need a fancy donut maker either, you can just use a simple donut pan. 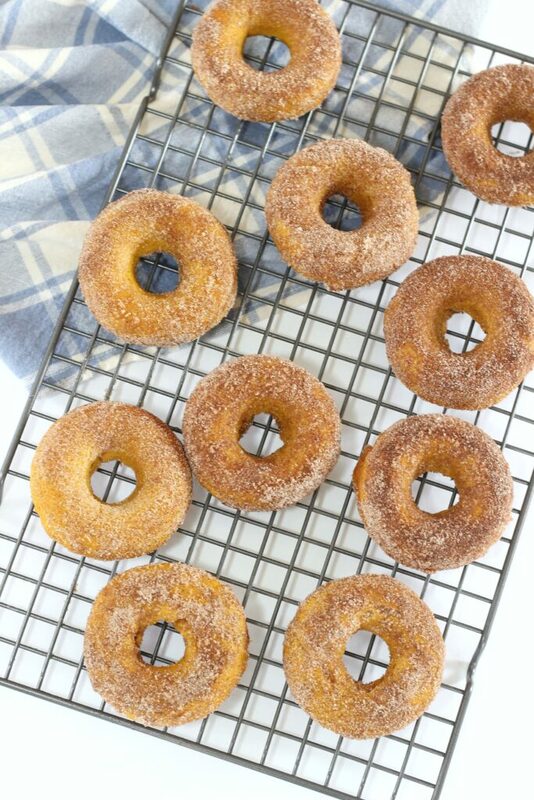 After you’ve baked these donuts, you dip them in butter and then you sugar them! After you’ve cooled them on your cooling tray. Make sure to only coat the donuts if you’re going to enjoy them right away. If not, you can hold off coating them until you are ready to eat them. I don’t know if you’ll get around to coating them later because I guarantee you’ll love them! There may be none left. There you have it! 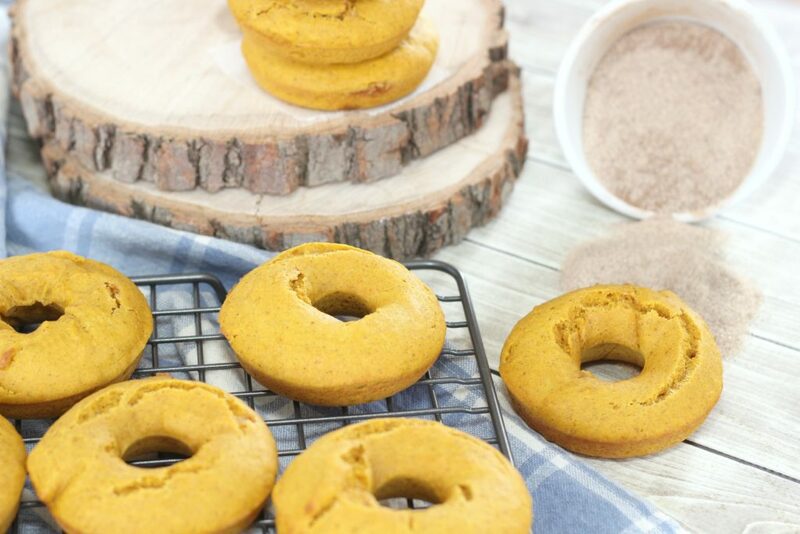 Now that you have added this delicious baked pumpkin spice donut recipe to your arsenal, you’re ready to rock. 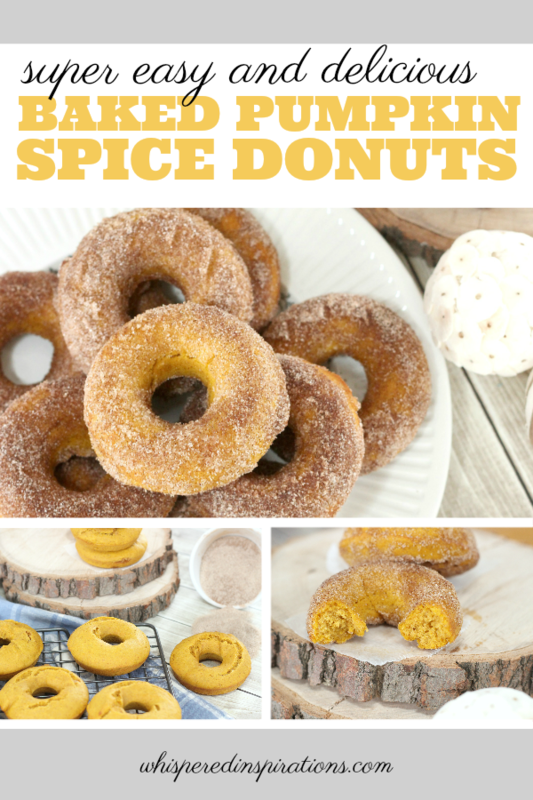 Delicious baked pumpkin spice donuts sprinkled with cinnamon and sugar. Whisk together flour, baking powder, salt, cinnamon and pumpkin sin a small bowl. Combine oil, brown sugar, egg, vanilla extract, pumpkin and milk in a large bowl. Slowly add the flour mixture to the wet ingredients and stir until just combined. Don't overwork the batter. Pour batter into a large Ziploc bag and snip a small corner off one end. Squeeze batter into donut pan forms. Bake for 15-18 minutes. Put onto a wire rack to cool. Dip the donuts into the melted butter. 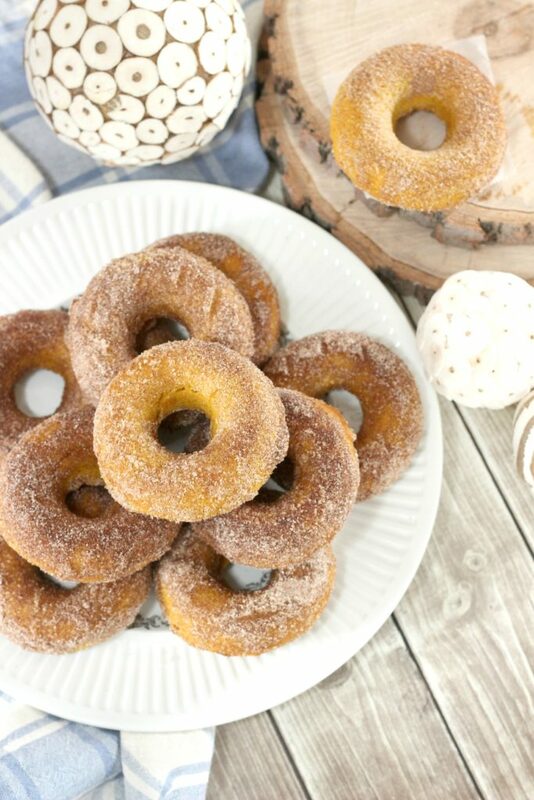 Put donuts into a bowl with cinnamon-sugar and toss and turn to coat completely. If are not serving immediately, hold off on doing the sugar coating until you are ready to eat. If you’re in the fall mood, you might want to try to make this easy Thanksgiving dinner for under $50. Also, you may want to brush up on your cooking skills and check out these tips to make the perfect turkey. If you need me, I’ll be making another batch of these and preparing for the holidays. Even if I am just planning, it’s that time of year already! Do you love pumpkin spice anything? OMG this looks so yummy! My daughter likes to bake, so I’ll let her know about this recipe. Thanks so much for sharing this Lou! We love making homemade goodies in our house! It’s been so chilly many days this past week so this would be the perfect recipe to warm us all up a little and enjoy a treat together! Yes, they really are great for this season! I usually go for the light, fried version, but these sound really yummy. I’m going to have to give it a try. Yes, you will enjoy these! That sugar-cinnamon coating looks absolutely scrumptious! I wouldn’t mind having a dozen to my self (but shh, don’t tell my diet!). Your secret is safe for me. Thank you for your kind words. These look great for pumpkin fans. I love a lemon filled donut. Oooh, I second you on that lemon but, when fall is here–it is pumpkin! 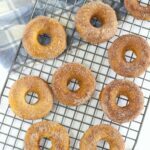 I haven’t had homemade doughnuts since my grandma made them! I will have to give this a try! So good! I hope you enjoy these. Love this! Donut is one of my favorite dessert. I tried to bake donuts before but failed, hard. Lol! But this one, I will definitely try this recipe. Yum! I hope that you can do this one. It is super easy! I love pumpkin spice everything. Yum! I have never tried preparing homemade donuts though. I can’t wait to give this a try. Wow those are some pretty good looking donuts! I bet they go well with cider. Oh WOW these look amazing!! I love donuts but not really a fan of pumpkin but I think this might be the perfect combo for me! You might just change your mind. I don’t eat sugar anymore but still prepare sweets for my family! I will definitely have to make these, thanks! Oh my, yes, another must try recipe! I have bought pumpkin donuts, but haven’t tried to make any. This sounds fairly easy. Another recipe t o add to the folder on my desktop! I need to make these ASAP! We used to have local farms that sold these hot and fresh up in Massachusetts every fall but since moving to Florida it’s hard to find these yummy fall treats, so I guess it’s time for me to get to baking! I haven’t had homemade doughnuts in over 30 years,I can’t wait to enjoy these,but I need to buy a pan first! Yes! Hope you enjoy them.